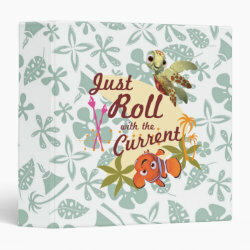 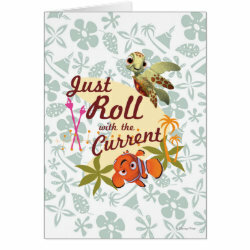 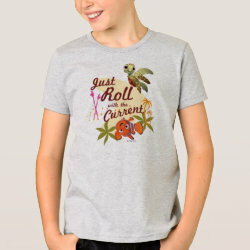 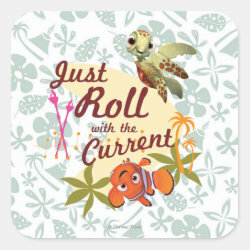 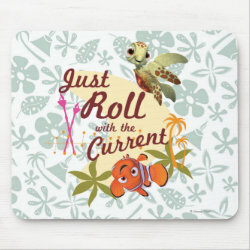 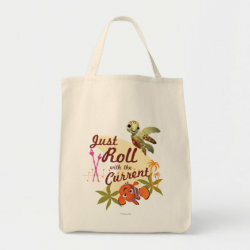 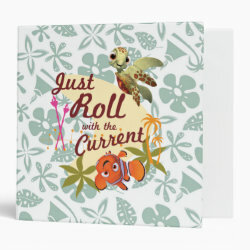 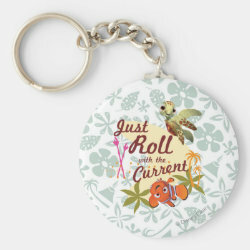 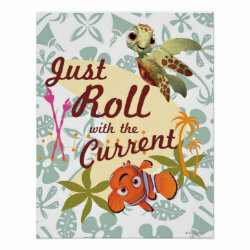 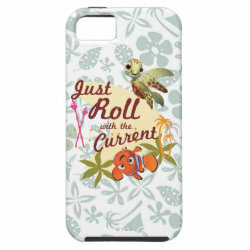 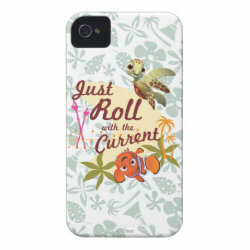 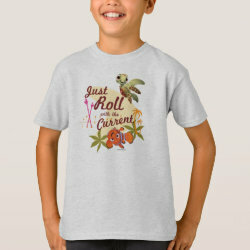 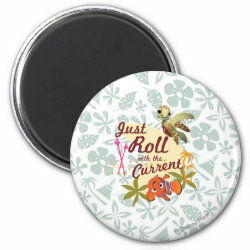 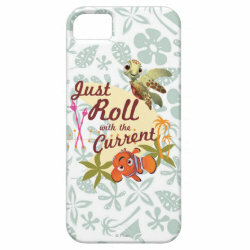 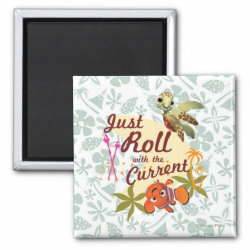 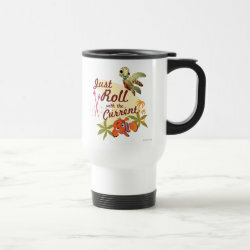 Clown fish Nemo and baby sea turtle Squirt are featured together on this adorable design that reads: "Just Roll with the Current". 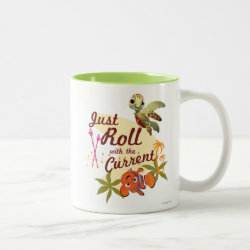 The cute graphic from More... Disney Pixar's hit animated feature film Finding Nemo is available on customizable t-shirts, phone cases, mugs, bags and stationary. 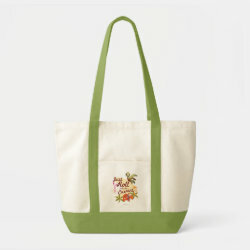 Great gifts here for fans of Finding Nemo and anyone who loves clown fish, green sea turtles and anything that swims in the ocean.